Down To Earth~Worm Castings is an all purpose natural fertilizer that comes to you straight from nature with no alterations whatsoever. Our nightcrawlers are fed a very rich peat humus which contains a wide variety of minerals and trace elements. The earthworms digest this material that, in the passage through the worm, is beneficially altered both chemically and physically. The end product is an extremely fertile top soil that is properly conditioned for optimal root growth. Earthworm castings contain rich proportions of water-soluble nutrients. This is a primary reason for them being able to provide incredible results. Wiggle Worm Soil Builder TM allows plants to quickly and easily absorb all essential nutrients and trace elements. This is possible because the earthworm grinds and uniformly mixes the nutrients and trace elements in simple forms, so plants need only minimal effort to obtain them. This is not the case with most other natural fertilizers. Though they may have many nutrients and/or higher analyses, the ability of plants to optimally use them is limited because they are not broken down to the degree in which the earthworm is able to provide them. As well as an abundance of available nutrients, Down To Earth~Worm Castings also provides a perfect mix of nutrients that are not readily available, but present for long term nutritional needs. This slow-release “storage system” allows plants to feed as needed for weeks and months at a time, depending on the plant. Chemical fertilizers usually provide only available synthetic nutrients, many of which are quickly lost in the soil with watering, as a plants’ root system can only absorb so much. Chemical fertilizers are most often detrimental to soil microbiology, by-passing and often destroying much of its beneficial microbial and bacterial activity. At the same time, many of these synthetic nutrients are absorbed into your plants and food. Chemical fertilizers and pesticides used in both farms and gardens have become our country’s leading cause of water pollution. 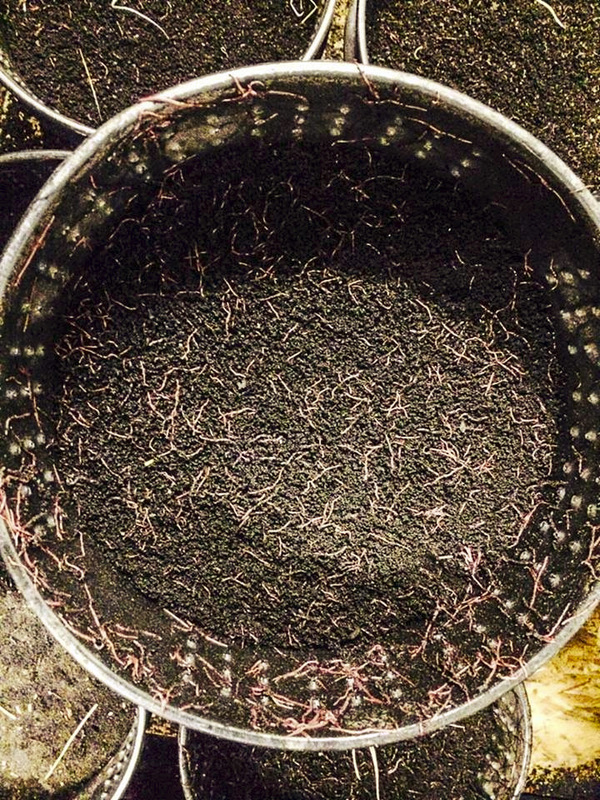 Another point in favor of Down To Earth~Worm Castings is the high concentration of beneficial bacteria and microbes added to them by the earthworm in the digestive process. These microscopic creatures help different elements of the soil work in conjunction with each other to create healthy, working soil that provides the best possible atmosphere for optimal growth. 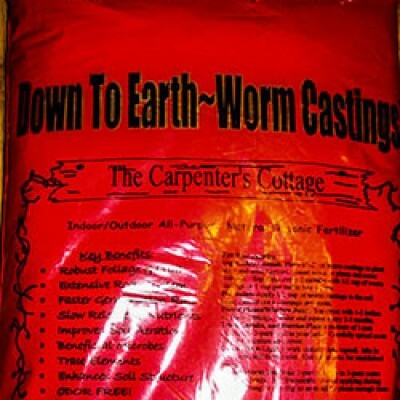 Yet another benefit of Down To Earth~Worm Castings is their ability to improve soil structure. These miniature football shaped particles improve aeration of the soil because they don’t pack together. This allows the roots to grow fast and fibrous which, of course, promotes rapid plant growth. It also allows for excellent drainage in soil, preventing roots from becoming waterlogged and developing root rot. 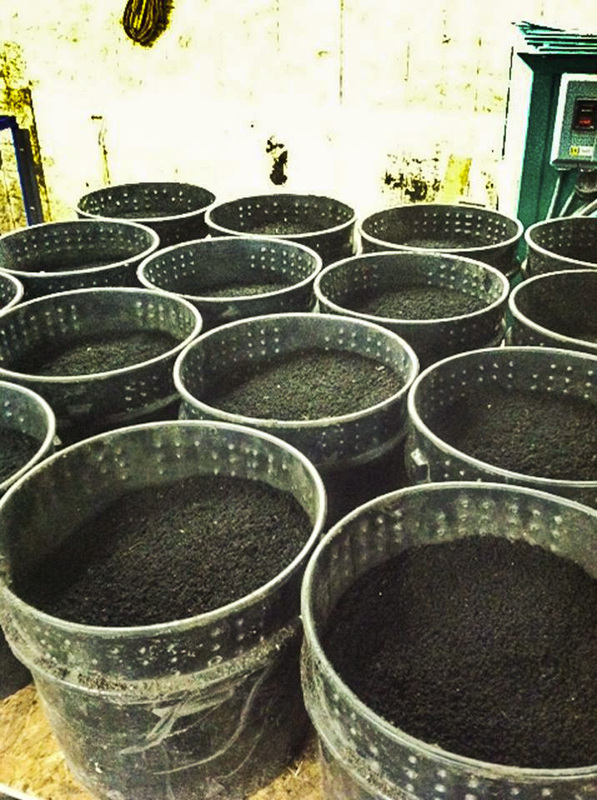 While improving aeration, Down To Earth~Worm Castings also increase the soil’s water retention capacity. 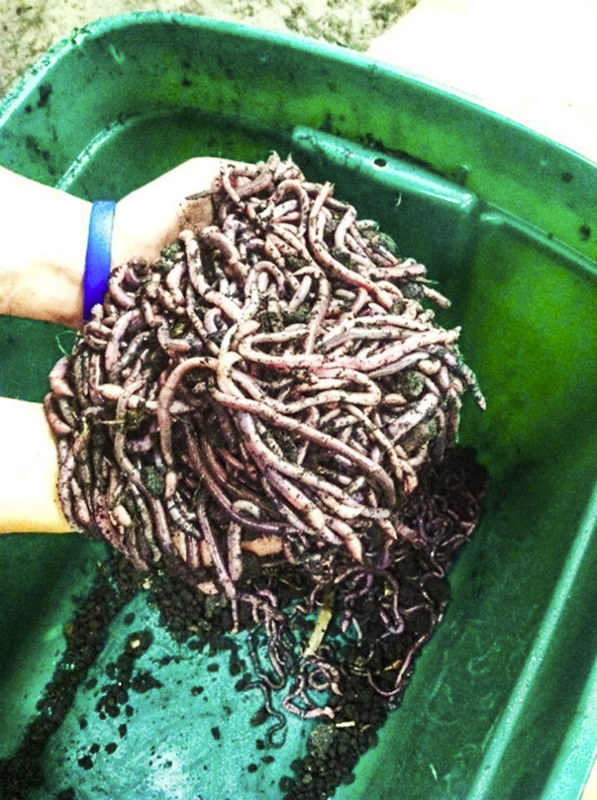 Because they contain absorbent organic matter, earthworm castings hold only the necessary amounts of water needed by the roots, while their unique shape allows unnecessary water to drain easily.